In our last blog post, we talked about 10 different types of learning journals that can help students think. Today we will extend that list by providing 10 more examples of learning journals. To read part one of this post, please click here. 11. Five W’s Journal. This journal is framed through the iconic five W’s questions: who, what, when, where, and why. Students simply start with a concept, then ask and answer five questions, each starting with one of the five W’s. 12. Private Journal. Private journals are for the student’s eyes only, and require that the student write something, anything, about learning. Entries can be about their own experience learning, their confidence, or other emotions before, during, or after the lesson. Teachers can grade these journals by merely checking that students made entries while refraining from reading the content. 13. Digital Journal. Digital learning journals can take the form of any of the other types of journals we’ve discussed, but it must be stored digitally. There is a strong push for all student work to leave the classroom, but in reality this isn’t necessary. 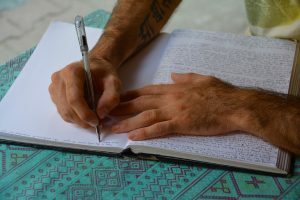 Much of learning is necessarily private, and this is especially true of reflections and journaling. Whether students decide that the learning should be published or not, a digital journal provides new opportunities to store, organize, share privately, and curate learning that handwritten journals can’t provide. 14. Personal Reflection Journal. Students write freely about their experiences in this journal. This is usually done weekly, and entries may be submitted periodically to the instructor or kept as a reference to use at the end of the module when putting together an academic essay reflecting the experience. 15. Dialogue Journal. In this journal, students select certain pages to submit for the instructor to read and comment on. While labor intensive for the instructor, this can provide continual feedback to students and prompt new questions for students to consider during the semester. 16. Highlighted Journal. Before students submit their reflective journal, they reread personal entries and use a highlighter to mark sections of the journal that directly relate to concepts discussed in the text or in class. Identifying the main ideas is an excellent learning exercise, and can be a great help when students return to review concepts later while studying. 17. Key Phrase Journal. In this type of journal, students are asked to integrate terms and key phrases within their journal entries. The instructor can provide a list of terms at the beginning of the semester or for a certain portion of the text. Students could also create their own list of key phrases to include. 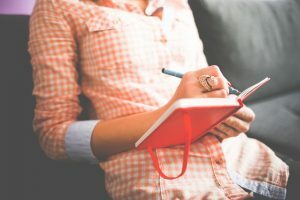 Journal entries are written within the framework of the course content and become an observation of how course content is evident in the entire learning experience. 18. Double-Entry Journal. When using double-entry learning journals, students write entries each week, describing their personal thoughts and reactions on the left page and writing about key issues from class discussions or readings on the right page. Students then draw arrows indicating relationships and connections between their personal experiences and the course content. 19. Critical Incident Journal. This type of journal entry focuses on analysis of a particular event that occurred during the week. By answering different prompts, students are asked to consider their thoughts and reactions before articulating the action they plan to take in the future. 20. Three-Part Journal. Students divide each page of their journal into thirds. In the top section, students describe an aspect of their learning. In the middle section, they analyze how course content relates to this aspect overall. In the bottom section, students comment on how the experience and course content can be applied to the outside world.